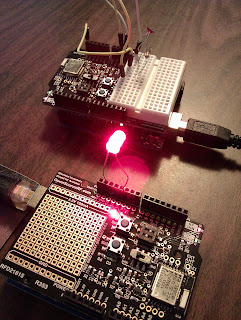 Back in October I received the two OpenSourceRF wireless arduino shield from the kickstarter I backed. I've poked around with them on and off but I haven't had a whole lot of success. Admittedly, I haven't really tried hard either. So today I settled in to try and get the two devices communicating. 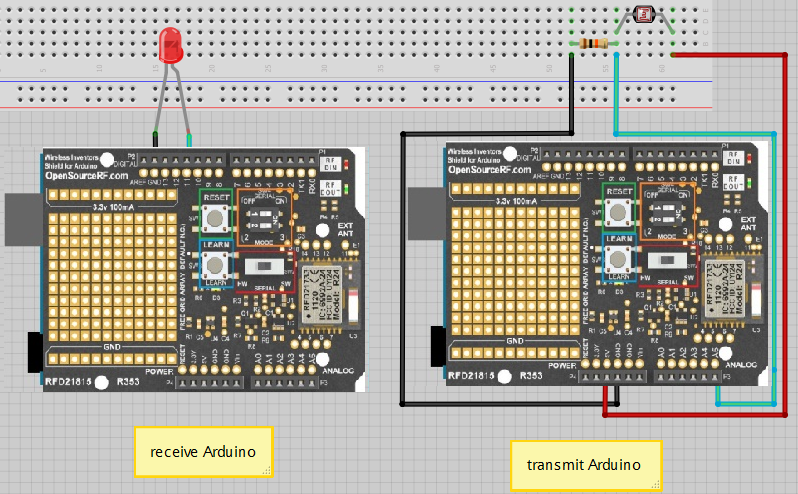 First I started with two arduinos wired directly to one another. Once I could confirm the sketch for that worked, I slapped the shields on and tested them wired. Success. So I pulled the wires out of the Rx and Tx ports on the arduinos and tested to see if the boards would still communicate. That's when I hit a snag. I read the manual for the wireless shields and played around with some of the settings. After playing around a little I discovered the shields would communicate as long as the Serial Mode (SW4) Bank 1 switch was on. After that the devices were talking. Of course the next snag I hit was that the receive arduino didn't understand what the send arduino was saying, just that it was saying something. Still, that's progress. I'l have to read up on serial communication to learn how to pass usable data between the devices. I used an example from here, although I wired up a photoresistor instead of a potentiometer. 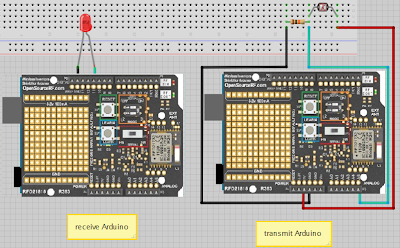 As you can see in the above photo, wiring the two arduinos is easy. Once everything is wired up, simply set the Serial Mode (SW4) Bank 1 switch (it's the top switch in the orange box) to ON. 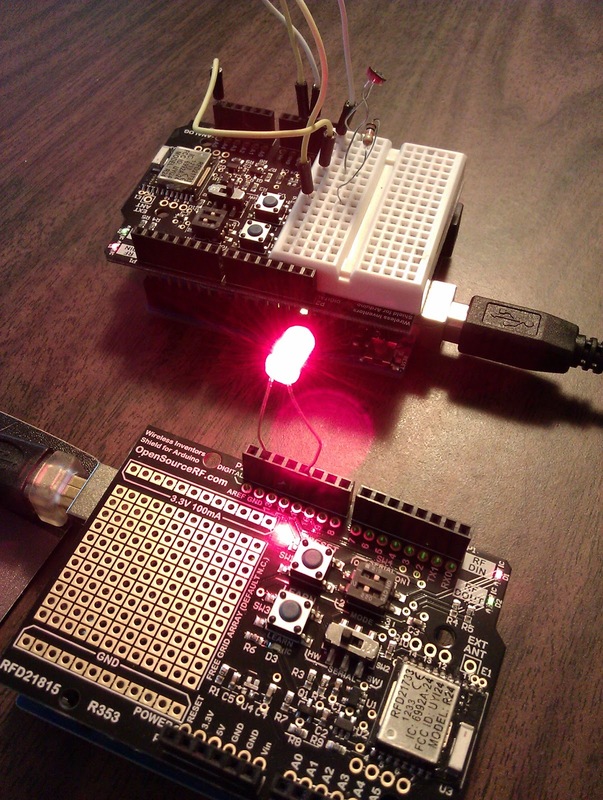 After that you should see the RF DIN and RFDOUT LEDs blink. Here are the basic sketches I used. Now the next step is to get a temperature sensor wired up and sending the proper information over RF.